If you’ve ever been in the market for a vacuum cleaner, then chances are, you’ve come across the term HEPA. This stands for High Efficiency Particulate Air, and it refers to filtration. It’s not as complicated or scientific as it sounds. We’ve put together some facts and features of HEPA filters so you can learn a bit more, and decide if a HEPA filter is the right choice for you. In order for a filter to be approved and certified as HEPA, it must be able to catch and retain 99.97% of particles over 0.3 microns, (very, very tiny!). You will find HEPA filters most commonly in vacuum cleaners and air purifiers. When it comes to vacuum cleaning, removing dust and debris from surfaces is only part of the job. When you disrupt surfaces such as carpets and upholstery, many microscopic particles are loosened and released into the air. Some of these particles, especially those coming from pet hair and dander, can get into human’s respiratory systems and trigger asthmatic or allergic reactions. Some vacuum cleaners with non-HEPA filters can simply disrupt these tiny particles for a moment, before they settle back down in your home. Others can catch the particles momentarily in the filter, but if the particles are small enough they will just escape back out and be dispersed through your home all over again. A HEPA filter uses special designs and technology to catch even the tiniest particles, and holds them tight, so they can’t escape out of the cleaner, (until you empty the dust cup into the bin). By clearing these tiny, invisible particles, you are creating a safer and healthier home, with cleaner air and less chance of “nasties” getting into your lungs. Here is where it gets a little more complicated, but I will try to simplify it! When you think of a filter, you might imagine something a little like a sieve, where particles are trapped if they are too large to get through. Well, this isn’t wrong, some non-HEPA filters function just like this, and even HEPA filters have a similar function too. In saying that, HEPA filters go far beyond the “sieve” method, and have a few more steps and mechanisms in place. 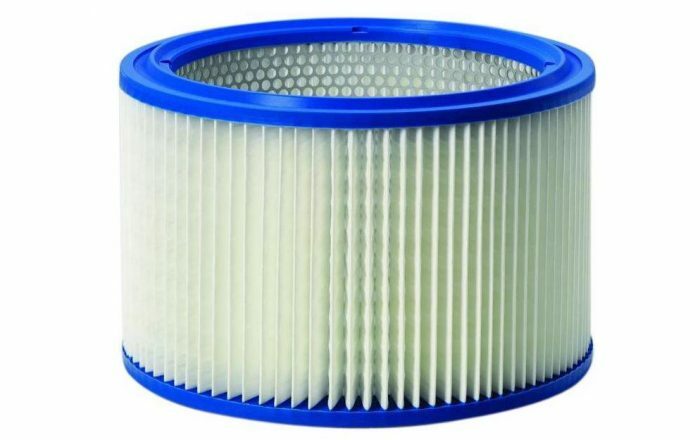 The outer layer of the filter is sieve-like, and catches the largest particles, like hair and dirt. Inside the outer layers, there are lots of tiny folds of paper-like material, made of very dense fibres. These layers are there to catch the smaller, and smallest particles as they pass through. Some particles collide with the fibres as soon as they enter the filter, and are instantly stuck there. Other types of particles “fly around” for a while longer before they are snagged on the fibers, like coral tentacles. What kinds of HEPA vacuums and filters are there? For a HEPA vacuum to be certified as such, it needs to be able to filter ALL of the air it encounters, not just some or most of it. In order for this to be achieved, the machine must be designed so that the amount of air being processed is not higher than the capacity of the filter. These types of vacuums are completely sealed and there are no pathways that air can go without passing through the HEPA filter. Dyson have a whole range of entirely HEPA vacuums, so they are a good place to start if this is what you are looking for. A vacuum cleaner with a HEPA filter on the other hand, doesn’t necessarily guarantee that ALL air and the particles it carries, are being passed through the filter. For example; the exhaust port of a HEPA-filtered vacuum may not be connected to a HEPA filter, therefore the air being passed through does is not filtered. HEPA-filtered vacuums are still great though, there is only a small amount of air that passes through unfiltered, and in most cases, not enough to jeopardize the health benefits of the filter itself. Why do people choose a HEPA filter? The number one reason you should choose a HEPA filter is health. If asthma or allergies are an issue for you or anyone in your home, you do need a HEPA filter. When it comes to respiratory health, it’s best to be safe than sorry in my opinion. The air we breathe in our homes can also be home to invisible-to-the-eye particles like mould spores, pollen, and mites. Mould spores alone can really wreak havoc on the lungs, especially if your home is even slightly damp. The good news is, HEPA filters can catch these spores before they settle into your lungs. As we go about our daily lives at home, our movements disrupt all kinds of particles which can be harmful, so it makes sense to rid these as best we can, and a HEPA-filtered vacuum is the best way to do so. Well, in most cases, yes. 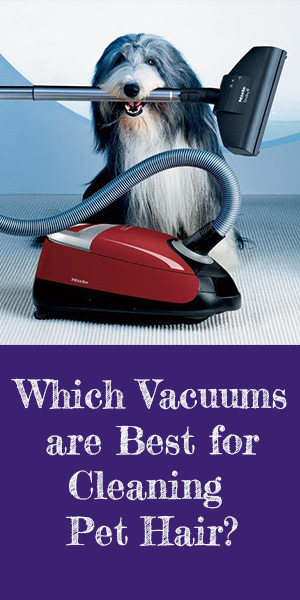 There are lots of vacuum cleaners on the market that do not have HEPA filters, and they are far cheaper because of it. It’s one of those situations where it’s best to spend a bit more money on a quality item, rather than going for the cheapest option. You could juggle around your cleaning budget and opt for cheaper products and detergents for a while, in order to balance out the budget for your HEPA-filtered vacuum if cost is an issue. But if you, or someone else in your home, has asthma, then a HEPA-filtered vacuum is worth it. This doesn’t mean you have to spend hundreds or thousands, you can still find great low to mid-range HEPA-filtered vacuums, but you just won’t be able to get the really budget models. Do they require special maintenance? In order to maintain your HEPA and make sure it’s functioning the best it can, you need to check it at least once or twice a year, and replace if need be. Commercial vacuum cleaners (those used in businesses and office areas) should have their HEPA filters checked every 6 months, as they’re likely being used daily. If the filter appears clean and functional, then continue to use it, but try to change it every year for optimum results. Residential vacuums should have their HEPA filters checked every 6 months or so too, just for the sake of making sure there’s no damage or issues. But if all goes well, the filter should last you for at least 3 years. In terms of cleaning, some HEPA filters can be cleaned, others cannot. Because HEPA filters are constructed with such delicate and comprehensive designs, wet-cleaning or rinsing will damage or destroy most makes. The best thing to do is consult the user’s manual with your vacuum cleaner, or contact the manufacturer to be completely sure. When you empty out the dust-cup, give the filter a quick once-over to remove any large build-ups or layers of dust. If the filter smells musty or odd, or has any obvious stains or moisture on it, then be sure to get it replaced as the functionality has most likely be compromised. Look for a mix of functionality, quality, and cost, but don’t compromise on that HEPA filter! A HEPA vacuum, or vacuum with a HEPA filter is essential for homes where asthma or allergy-sufferers reside. You will clean your floors, furniture, and the air with a good-quality HEPA-filtered vacuum. This is even more essential for homes with pets! Pet hair and dander can really affect you if isn’t managed with a good cleaning and filtration system. You don’t need to break the bank, but make sure you are investing in a model that will last a long time and has all the functions you need in order to make vacuuming safe, healthy and versatile. I would recommend starting with Miele or Dyson when it comes to HEPA filtration, as they have fantastic products with very high customer ratings.